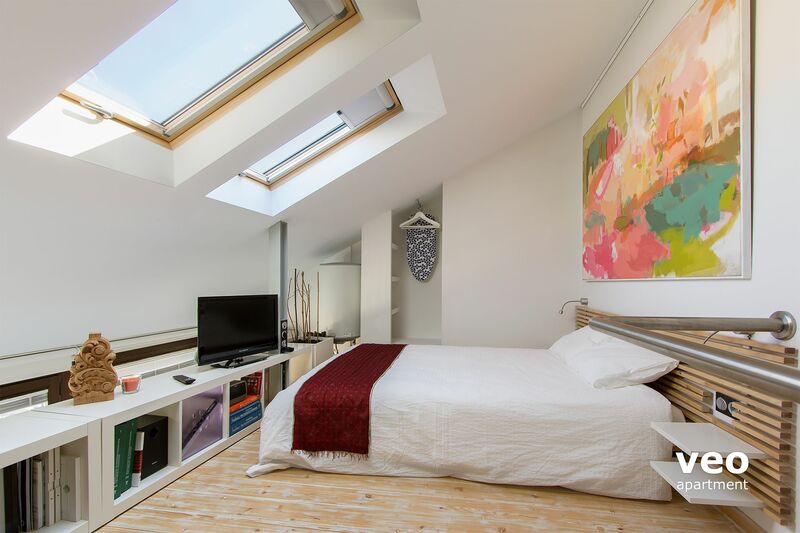 Top-floor apartment with 1 bedroom, private terrace and skyline views. 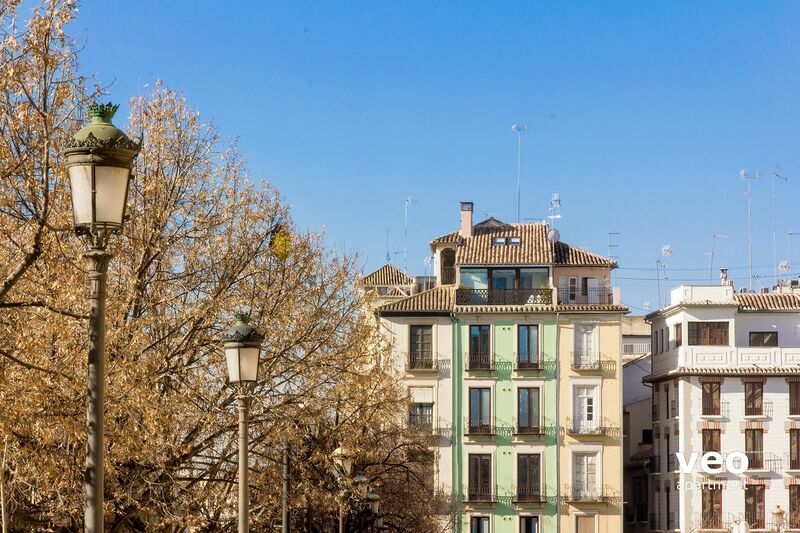 This exceptionally bright, split-level apartment is located on lively Plaza Nueva, in the very heart of old Granada. On the lower level is the living-dining space. 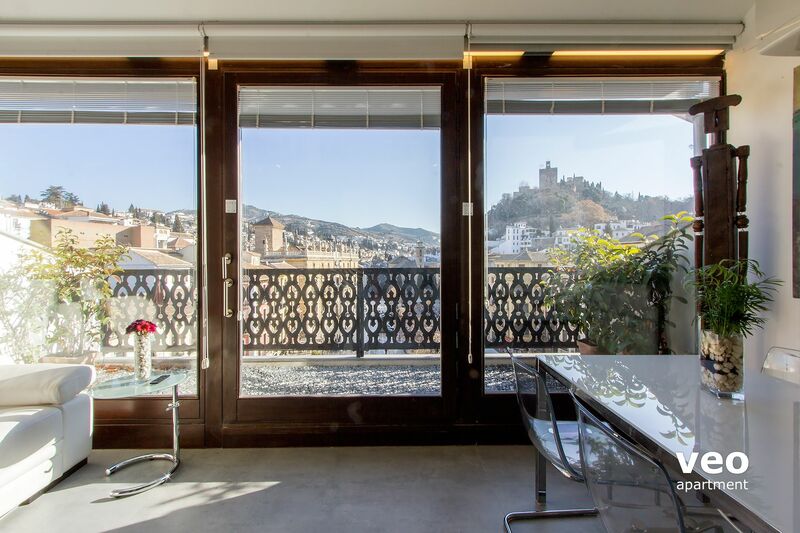 The highlight of the apartment is undoubtedly the large double-glazed glass wall which gives plenty of light and breathtaking, wide views over Plaza Nueva, up towards the Alhambra to the right, the Albaicín and Sacromonte to the left. There is a large glass door leading onto the private balcony with plants and seating. Furnishing includes a white leather sofa, a glass dining table and four chairs. There is air conditioning and electric radiators for the colder weather. The kitchen also forms part of the living area, and has a microwave and washing-machine. At the foot of the stairs to the upper level is the bathroom, with shower and a heated towel-rail. On the upper level is the sleeping area, with a double bed (1,40 x 1,90), desk and flat-screen TV. The fort of the Alhambra can be seen from the two velux windows above the bed. 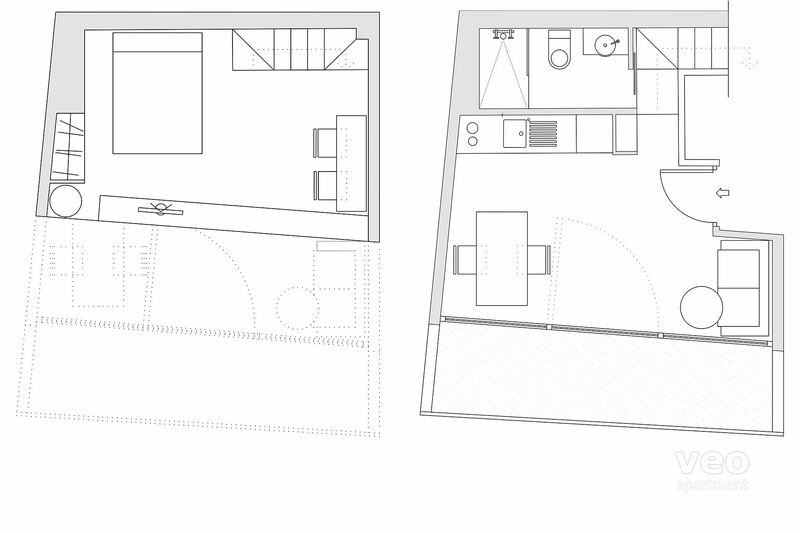 The apartment has been cleverly designed with great attention to detail by its architect owner. Original artwork and sculpture and modern furniture give a contemporary feel. 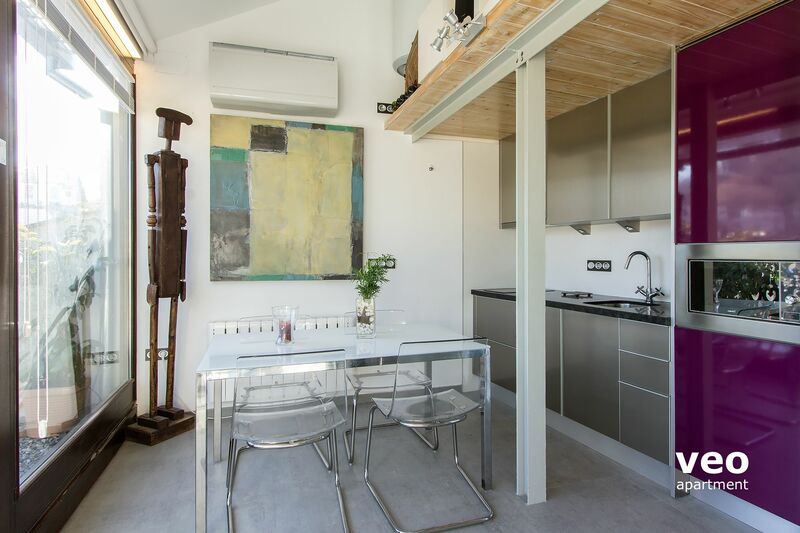 It forms part of a building, fully refurbished in 2012 which comprises this apartment and 4 studios. There is an elevator, though please note that it only reaches the 4th floor. The apartment is on the 5th and is reached by 2 flights of stairs. Not suitable for children or babies. Plaza Nueva is a lovely open square in the very heart of the old city of Granada. 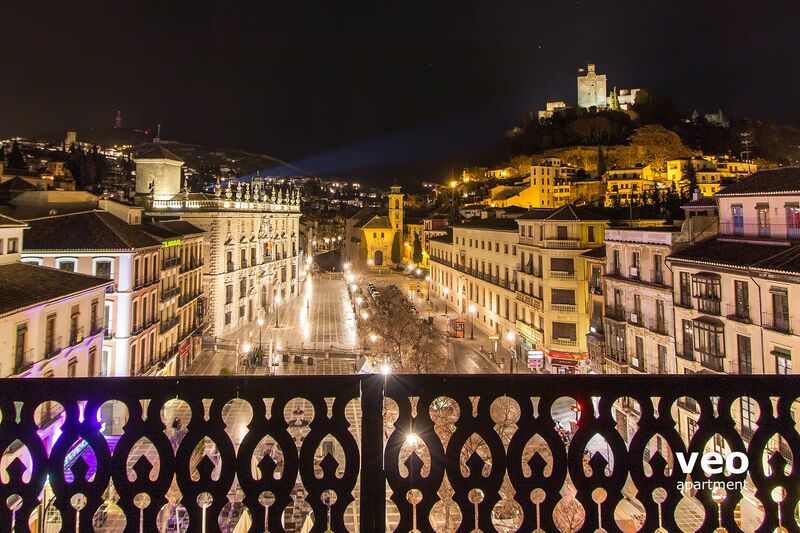 It is at the meeting point of the Albaicín, Realejo and Centro neighbourhoods. From here you take Cuesta Gomerez, a steep street, to reach the Alhambra. It was built in the 16th Century to cover over the River Darro at a point where there were several bridges which were unable to cope with all of the traffic going up and down to the Alhambra. Plaza Nueva was so named (New Square) as it was the first to be built by Christians in the city. It became the site of popular tournaments, bull fights and even public executions! Today the square still plays an important part in Granada's daily life. The terrace bars make a good spot to spend time relaxing after a day's tourism or perhaps to summon up the strength for the climb up to the Albaicin or Alhambra while contemplating some of the lovely architecture. Plaza Nueva Main central square in the old city of Granada. Terrace bars and restaurants. 14:00 - 21:00h. Early check-in is possible with an additional cost of 20€ - subject to availability. Same conditions apply for a late check-out after mid-day. Late check-ins after 21:00h have an additional charge of 15€ per hour. 2 guests maximum. Not suitable for children or babies. There is a car park at 10 min walking distance from the apartment at calle San Agustín. The 50% reservation deposit is completely non-refundable. "Very Modern Apartment With Amazing Views"
This architect's dream apartment was full of modern features and cleverly designed. We thought the spiral staircase would be an issue in the middle of the night bathroom trips, but there is a safety rail and clever directional lighting, and very few steps. Immaculate. Great water pressure, comfortable leather recliner. Punctual substitute host met us. Huge glass windows overlooking the central square of Granada. Five stars. "Wow, wow, wow! This would have to be the best apartment in Granada. The views are amazing! Modern, comfortable apartment." After spending three and a half weeks travelling Spain over Christmas and new year 2017/2018 my final destination was Granada and this apartment was the pinnacle of my trip in more ways than one. Spectacular views and compact modern facilities for a maximum of two able bodied travellers. The best location in Granada I will be recommending this apartment to all of my friends travelling to Spain. 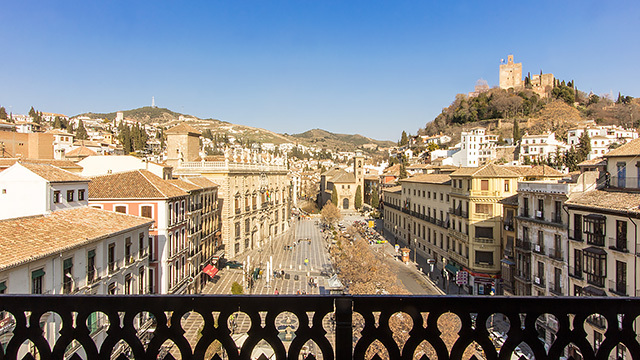 "Good location, great fifth floor terrace, easy access (only one flight stairs) "
The pictures on the website truly show the glorious view looking towards the Alhambra; the location in central old Granada is very good - you can walk to all attractions easily from Plaza Nueva. 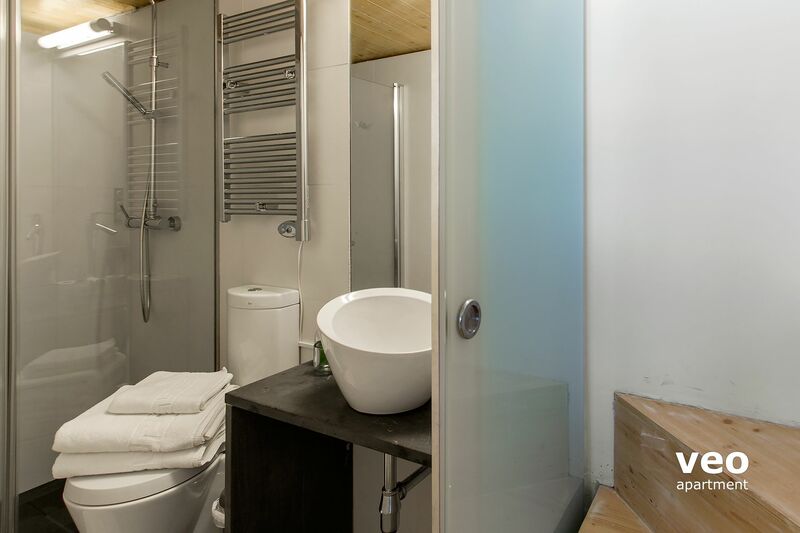 Great shower, comfy bed and small, very usable kitchen and cooking facilities. Really liked the apartment, recommended. Be aware there is one flight of stairs up from the lift, to the apartment, and the steps up to the sleeping area are quite steep; should not be a problem with normal mobility. 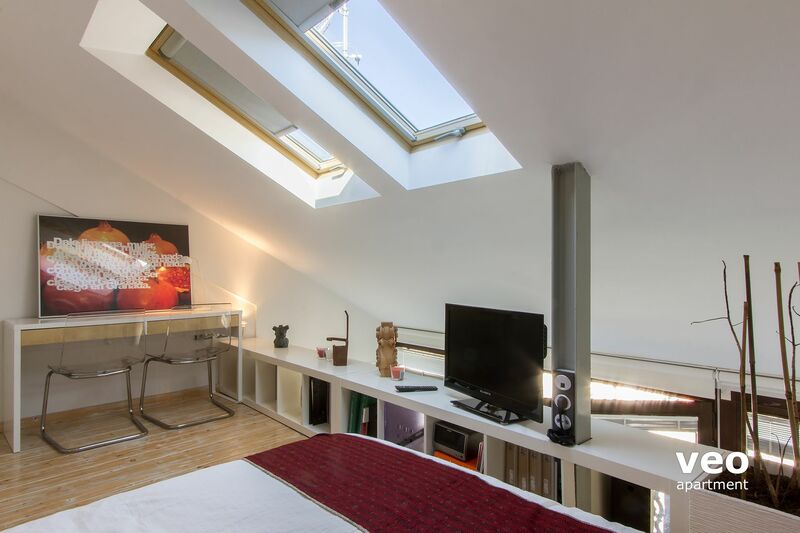 "Très bel endroit à découvrir"
Dans cet appart, vous êtes au coeur de la ville - super bien situé, superbe vue, appartement bien aménagé et propriétaire très sympa .. Centre ville, veut dire par contre qu'il ne faut pas trop être sensible au bruit et prévoir boules quies pour mieux se reposer.. Mais, nous, on trouve que cela vaut le coup! We enjoyed our stay in this beautiful apartment overlooking the plaza. The balcony has plenty of room to sit and people watch or to gaze out at the incredible view of Alhambra. It has given us memories that we will cherish for the rest of our lives! We look forward to returning in a few years and for a longer time. Granada was alot of fun and the apartment made our experience even better. Thank you! "Great location and perfect views"
A bijoux apartment in a great location. Well appointed albeit all from Ikea. Pity about the dead plants and maids buckets and brushes on the terrace and the fact that we only had 1 pillow each and no duvet. My wife and I were very impressed with the view over Plaza Nueva and onto Alhambra, with a peek at snow-covered peaks in the distance. The aspects varied over the course of the day, providing a real connection with this amazing old city. Location was convenient to everything and even in the comfort of the apartment, you felt like you were part of the surrounding events. Sipping wine on the verandah as the sun set behind Alhambra was unforgettable. "AWESOME location, even better view, perfect little spot in Granada"
The property was in an excellent location and the view was perfect. We could not have asked for better. 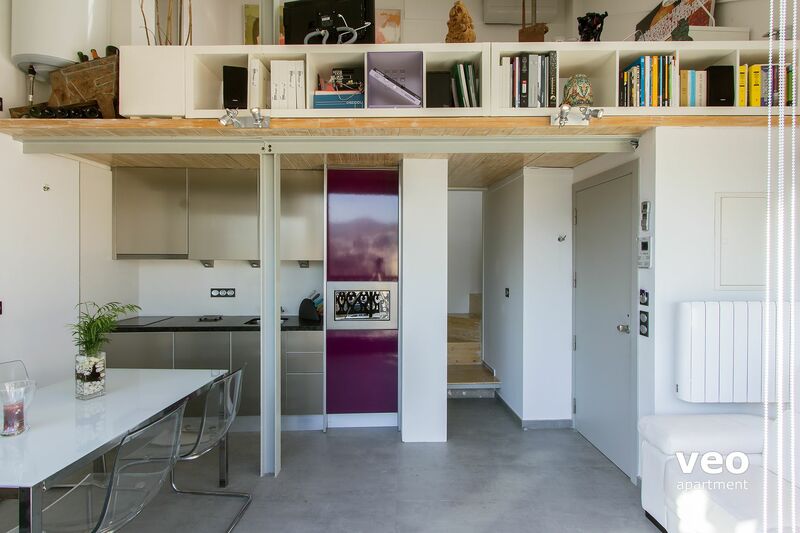 It's a small place, but you don't need much room when you're in Granada and in that location. The bed could be more comfortable and the shower leaks a little onto the floor in the bathroom, but other than that it was perfect. And Nuria was very nice and very helpful! She was great! ideal, buen situado, agradable, limpio, y con unas vistas inmejorables. "Beautiful apartment in Exceptional location, superb views"
Really wonderful stay. Walk outside and you have everything on your doorstep! The apartment was comfortable and highly functional. Heating worked fine, bed was the most comfortable sleep in a long time! L'appartement est idéalement situé dans Grenade et la vue que nous avions depuis la terrasse est tout simplement magique. Combiné avec le fait qu'il soit très agréable à vivre et fonctionnel. Very definitely an 'architect's' apartment. Well and tastefully decorated The location is wonderful, as is the view of the Alhambra from the terrace. It has everything you need - but it's small - and there are a lot of rather narrow stairs. So, if you're young and fit you'll love it. But definitely not suitable for anyone with mobility problems or small children who might take a tumble. "Perfect location, fantastic views and comfortable well equipped apartment." A great place to stay; in easy reach of all attractions, bars and restaurants. Easy access to public transport and there is a taxi rank right outside, so no hauling luggage around the streets. The apartment is modern and supplied with all that you need for a self contained, but relaxing stay. We were greeted at the apartment as arranged and the whole booking process was excellent. Wunderschönes modernes Apartment in zentraler Lage (Geschäft, Cafe und Tapas Bars gleich nebenan). Perfekt für 2 Personen. Traumhafter Blick auf Plaza Nueva, Alhambra und Albaycin. Auftretendes Problem (Klimaanlage war defekt) wurde sofort gelöst. Wir würden dieses Apartment jederzeit nochmals buchen und können Veoapartment nur weiter empfehlen. "Excellente situation de l'appartement et très belle vue." L'appartement est bien équipé (cuisine et salle de bain). La décoration sobre est élégante et très agréable. L'aménagement de la terrasse mériterait d'être plus soigné (les 2 chaises étaient cassées et le revêtement en pierres peu pratique nécessitant de se chausser dès que l'on souhaite aller sur le balcon). Si j'étais le propriétaire, j'aurais peur que ma responsabilité soit engagée au cas où quelqu'un aurait l'idée irresponsable de jeter une pierre par dessus le balcon. "The location and view was absolutely amazing!" I really enjoyed our stay in this apartment. There is some room for improvement within the actual apartment. Doing some minor repairs and upkeep would make a difference to the appearance and convenience of the suite. For example, the hinge on the door of the washing machine was needing an adjustment so I fixed it. Another suggestion would be to fix/ remove the air conditioning unit that is not attached to the wall and fix the holes from it. Margoth was very friendly and helpful and addressed any questions that we had promptly. We had a great stay and loved the location. 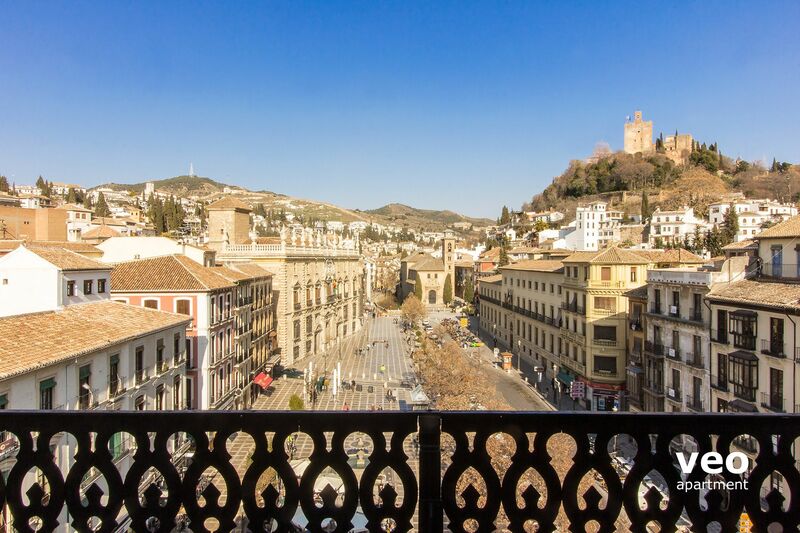 "Small but excellent apartment, fantastic location and view"
The location and the patio were amazing ... patio overlooks Plaza Nuevo (main square) and the Alhambra. The apartment was compact ... a bit small but still better then a hotel room. A concern for some (elderly, kids, etc.) may be the stairs to the bedroom and from elevator top floor to the unit (1 flight of stairs). Overall we were happy with our stay because of the location and the patio/views. Respuesta del propietario: Gracias por el comentario. 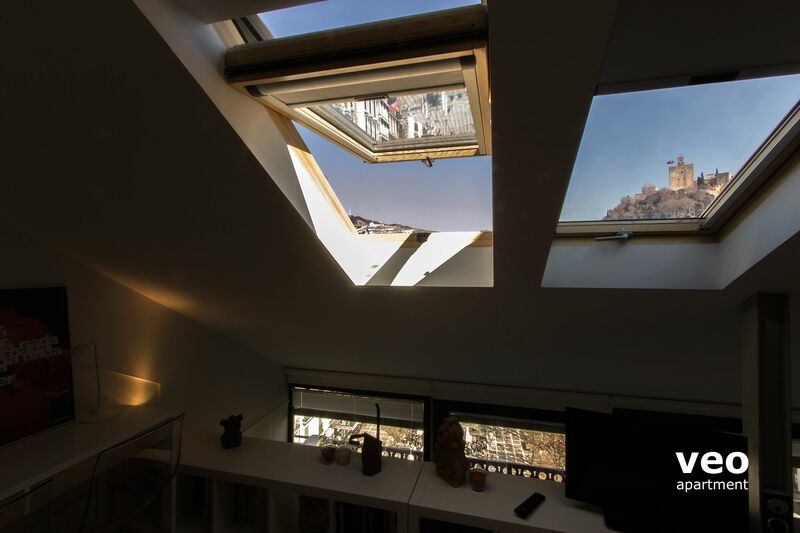 En la arquitectura contemporánea es común y posible algunos retos, el mío como propietario y arquitecto fue conseguir de un antiguo palomar un bonito duplex, (según opiniones), a cambio hay que sacrificar algunos detalles, por eso no recomendamos para niños. "Lovely apartment in a wonderful location." There were a few issues with the air-conditioning units, which were very quickly resolved by the owner himself. Customer service and response times were excellent. We bought an extra desk fan that we left at the apartment as a gift for Cecilio the owner on account of his professionalism and kindness. Despite the issues, we loved the apartment and shall miss it and Granada. 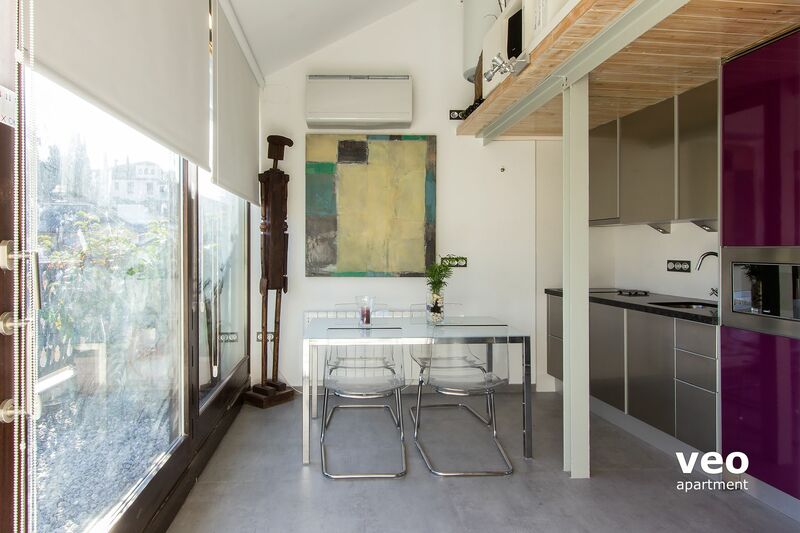 We would highly recommend a stay in this very beautifully designed duplex. penthouse apartment. Every positive statement in the prior reviews is true. No street parking from Monday 8am through Friday, but the garage at Mercado San Agustin discounts 5 days for the price of three (75EUR). the washing machine. ¡Muchas gracias por todo! Superbe emplacement, super appart moderne, bien équipé, bien isolé. La terrasse est parfaite pour 2 avec vue sur l'Alhambra. This apartment is all about that view from the terrace! The loft-style bedroom upstairs is small, but fine to just sleep. The views of the Alhambra are not great from the apartment, however. You can see it from the bedroom window, but you will not want to spend time up there to look at it. The terrace is large and my husband and I enjoyed just sitting out there and watching the hustle below. It was a 10 min walk up a hill to get to the Alhambra, which we really enjoyed. The price was also reasonable. Excellent option for a couple. If I return to Granada, I will definitely stay here again. 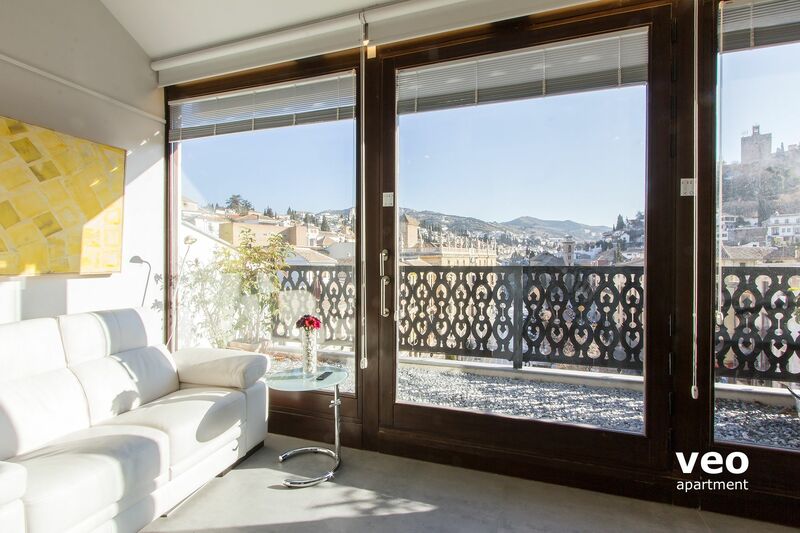 "A delightful apartment with an unbelievable view of Plaza Nueva and the Alhambra." 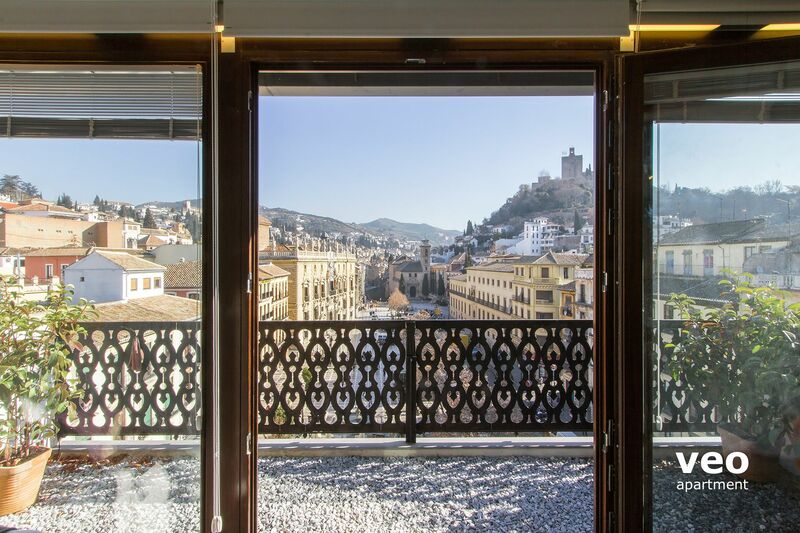 We loved this apartment tucked up at the top of the building with an airy, light filled aspect and great views of the Alhambra, Albayzin and Plaza Neuva with all its activities. The activities are very noisy at night so we eventually has to close the doors and sky lights to drown out the plaza festivities which go all hours of the night. Worth spending many days in this delightful apartment. Tengo 61 años y llevo viajando desde niño, pero como viajero a la antigua usanza, siempre me he hospedado en Hoteles. Es la primera vez en mi vida que he confiado en un apartamento y mis espectatívas se han visto mas que cumplidas. La seriedad, efectividad, amabilidad con que he sido tratado por parte de la organización es digna de mención .El alojamiento, bien ubicado, decorado de una manera moderna y lleno de detalles de atención y de ultima generación me han echo muy fácil la estancia. Recomiendo a quien pueda leer mis comentarios que utilicen los servicios de esta web y sus apartamentos. Muchas Gracias. This is a fantastic place to stay in Granada. Very comfortable for sleeping which is a plus in Spain as many beds are rock hard and the pillows are massive. Here they have got it right. Double glazed windows. So close to all the historical attractions and also a tourist information centre next to the church in Plaza Nueva , make sure this is your first stop and ask lots of questions. Ie bus number to the Alhambra.. roughly a 15/20 min walk, all up hill & Steps to the Alhambra. Back to the apartment, make sure you practise getting In and out of your apartment door while your host is there, please get them to show you and then do ityourself , It will save a lot of problems later ( carry the contact details with you). Take a small torch or always put a light on when going downstairs in the dark as they are very steep. We absolutely loved this apartment. It was hard to leave the great deck and fabulous views to go touring. We had an email glitch with our arrival and everyone was so helpful and accommodating with our error. We hope to come back with friends and rent 3 apartments. Cannot give enough positive input. TODO CORRECTO. LIMPIEZA, ATENCION. MUY CONTENTA DE LA ESTANCIA. LO RECOMIENDO SOBRETODO SI QUIERES ALGO EN EL CENTRO DE TODO. "Amazing view, location and accommodation , This is a wonderful place to stay in Grenada"
outstanding ! we absolutely loved the apartment. the location was easy to find and ver central to everything we wanted to do in Grenada. More than this it allowed us to feel part of very day life from the wonderful balcony, enjoy cooking some food from the markets and relax while still taking in the scene. Everything about this property makes it an excellent choice for a visit to Grenada for a couple. "Small but great view and location"
GREAT location with fantastic views of the Alhambra! And the terrace overlooking the plaza is great for sunrises, sunsets, and any other time. But the apartment would not work for folks that have been supersizing! Also, probably not suitable for folks who cannot traverse steep stairs to the bedroom. Great service as we needed a late checkout due to an evening hotel train to Barcelona which was accomodated. Would recommend to friends and relatives. 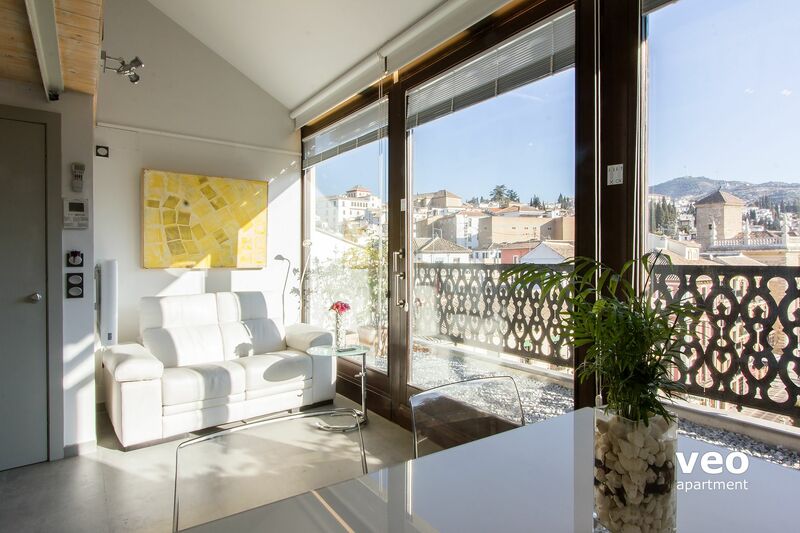 "Unforgettable views of Granada in a stylish apartment "
Overall we were really impressed with the apartment and the view was amazing. I thought perhaps it was beginning to look a little tired (in terms of marks on walls and slightly stained sheets) but that said we were still very impressed with the views and the overall look of the apartment. "Schönes Apartment mit toller Terrasse in zentraler Lage"